When buying a home -- whether it's your first, second, or a getaway vacation home -you're bound to have many questions. For example, how will you find a home that suits your needs? How much money will you need to afford the monthly payments? And how long will the home buying process take? Sound familiar? If so, you've come to the right place. Our Web site offers a wealth of information about the home buying process. 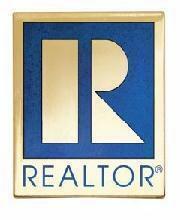 Begin your journey by discovering the benefits of working with an Island Realty Group Real Estate Professional. We can assist you with finding the right lender and guide you through the process of purchasing your dream home. Have you considered tax savings advantages or how much principal and interest you'll pay each year for your home? While the experience can be filled with ups and downs, contact an Island Realty Group Agent to guide you through the entire process. for Frequently Asked Questions concerning the purchase of a home.